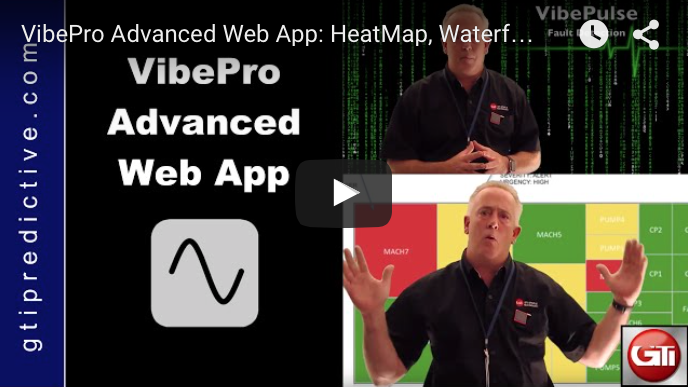 ThermoPro (a new iPad thermography solution), GTIDiagnostics (a new online wireless condition monitoring solution) and VibePro Advanced (an all new set of web tools for VibePro users). Finally, GTIDiagnostics is available this new family of wireless sensor products enables cost-effective predictive maintenance for industrial equipment. The system provides continuous remote monitoring of key performance indicators to track the operating health of equipment. GTIDiagnostics is available with our VibePro Advanced Web App. Ask about GTI Predictive remote monitoring and analysis services! GTIDiagnostics captures the data automatically and is a perfect companion to VibePro. Learn more by downloading this data sheet. VibePro Advanced brings a new set of post-processing and reporting tools for VibePro users. A new heat-map, waterfall view, VibePulse automatic fault detection, and even more advanced reporting are all available in the new web app. Upcoming updates to VibePro Advanced are free with your subscription. FLIR One for iOS is a revolutionary thermal camera designed for use with the iPad and iPhone. 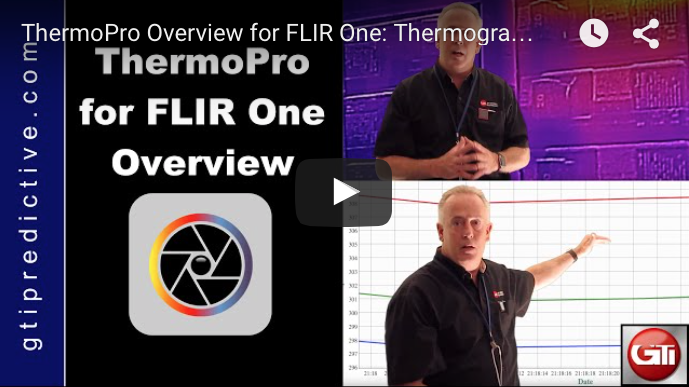 ThermoPro for iPad from GTI adds IR analysis tools and hierarchy lists for collecting and storing thermal data for assets like bearings, switch gear, electrical connections, steam systems, pipe inspection and more. Been curious if our iPad platform will work for your company? 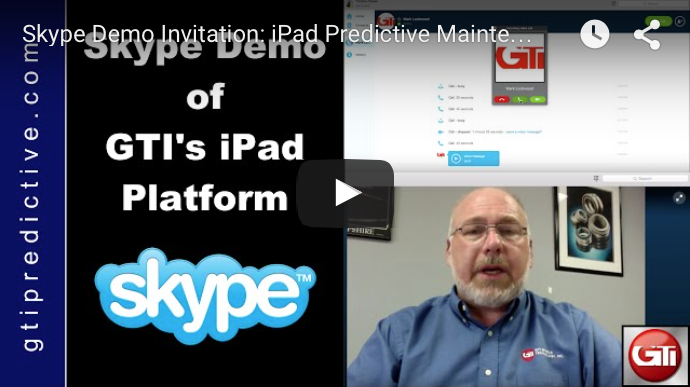 Get all your questions answered about these new products or any of GTI Predictive’s iPad solutions for vibration, balance or alignment with a free Skype demo from Mark Lockwood. Thanks for taking the time to read about our new products. If you have any questions please either call us at 603.669.5993 or email us at info@gtipredictive.com.